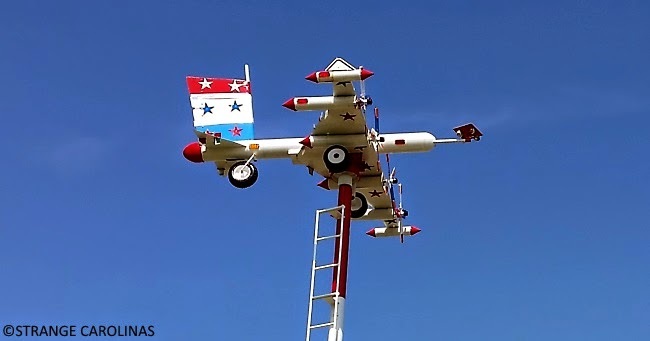 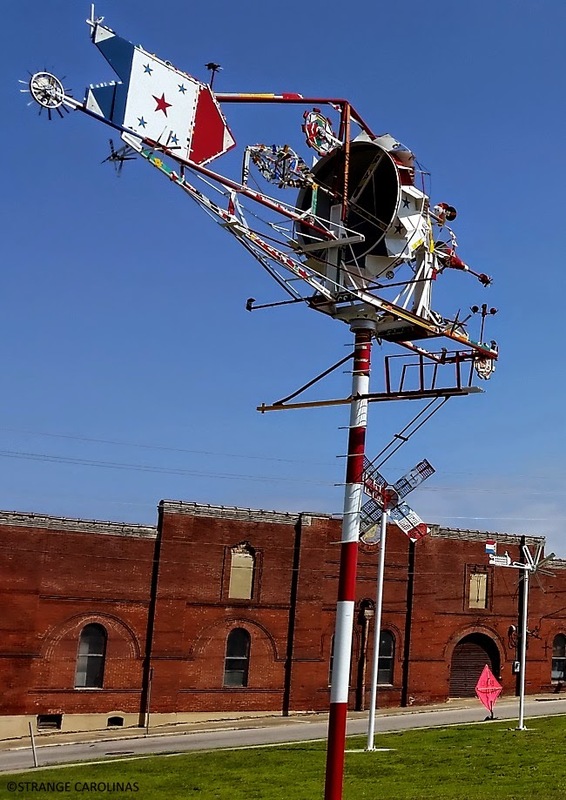 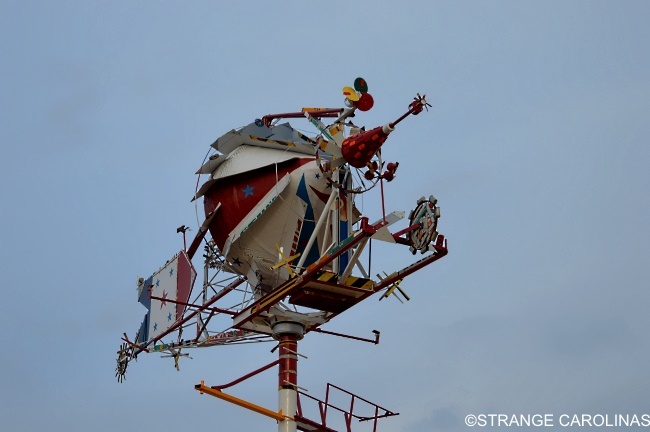 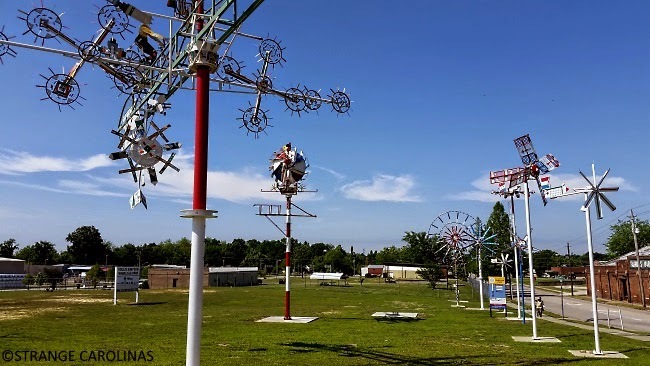 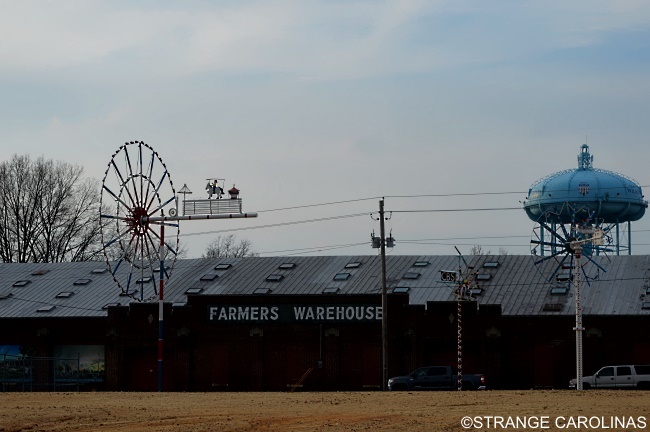 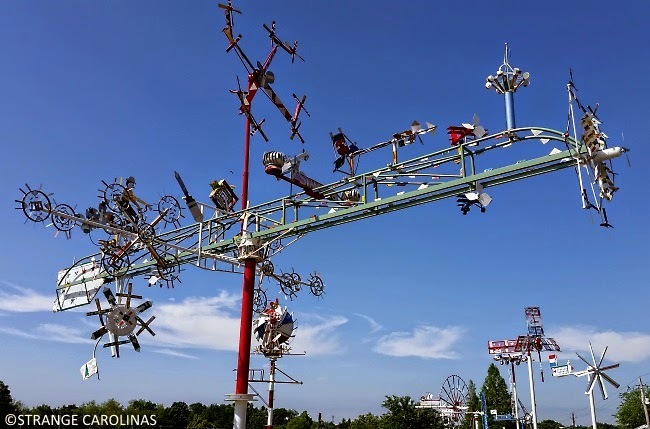 Most of Vollis Simpson's whirligigs have been removed from Acid Park and are being restored and placed in downtown Wilson in the Vollis Simpson Whirligig Park. 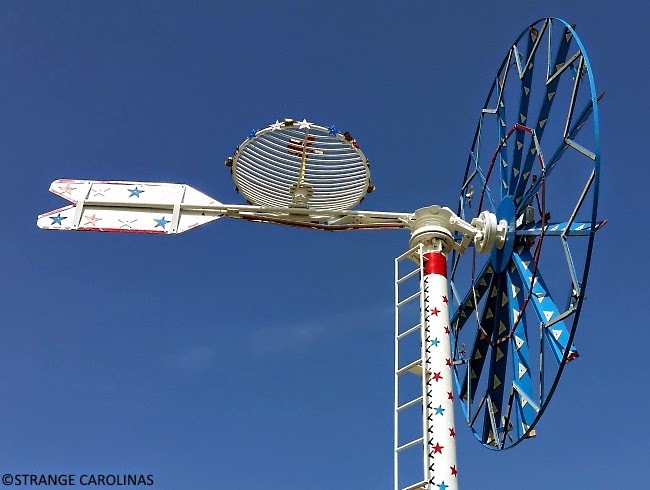 We have visited the park several times over the past two years and each time we have been met with new whirligigs. 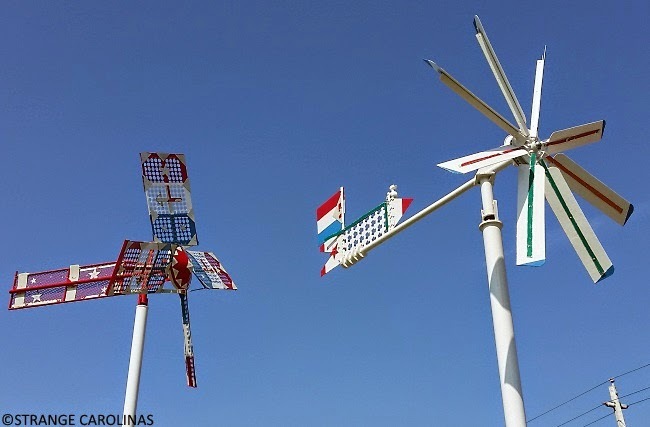 On our last visit in February 2016, all the grass was gone in the park and a whole new row of whirligigs had been erected at the back of the park. 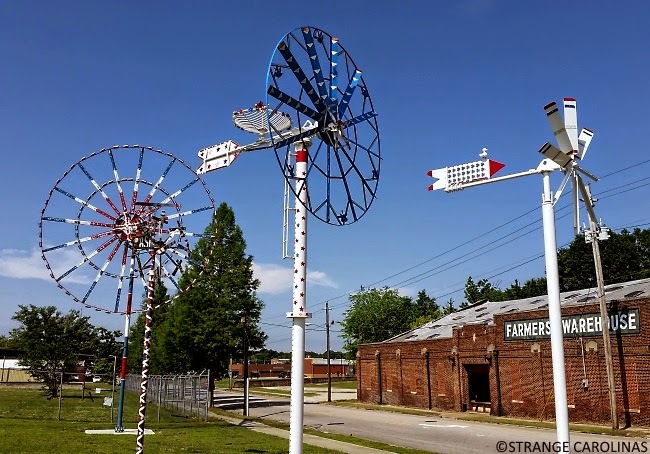 Once complete, the Vollis Simpson Whirligig Park will have a farmers' market, an amphitheater, walking trails, a crafts market, and more. 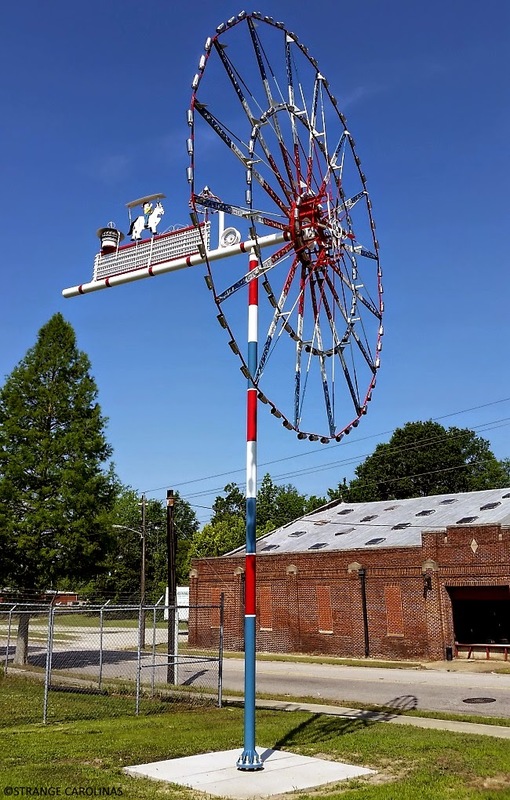 We are very excited for the proposed finished product as it will be an awesome tribute to Mr. Simspon's whirligigs as well as a major tourist attraction for Wilson.